← Contest – Recycle Your Old Phone! The 2017 final exam schedule is here. The exams run from Wednesday, June 14th to Friday, June 16th. Please note that Monday, June 12th and Tuesday, June 13th will have regular classes . 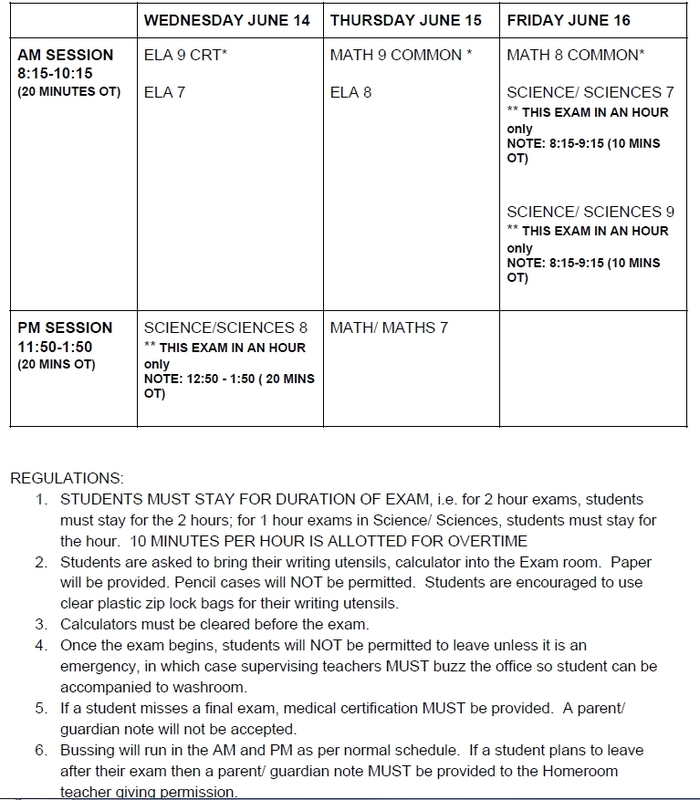 There are some changes to the exam formats this year. Please read the Regulations that follow the schedule below. Also, the buses will be running at the regular times during the exam period. There will be no additional bus runs. If you would like a printable version of the schedule, please click here.